THE BOOKSTORE tells the story of Esme Garland, a British scholar at Columbia University, working her way to get a Ph.D. in Art History. Shortly after her arrival in New York City, she met and fell in love with Mitchell van Leuven, who came from old money. Then a wrinkle turned up, Esme found herself pregnant; and even before she could tell Mitchell about it, he broke up with her. Esme decided to keep the baby regardless of the foreseen difficulties she will encounter and found rescue through a part-time job at The Owl. The Owl is a little secondhand bookstore on the Upper Westside that she visits frequently. In spite of the solace provided by the book shop and by its people, Esme has a lot to consider as the story progressed. The upside, I like the various themes presented by Deborah Meyler - the value of life, womanhood, and independence. The value of life was emphasized when Esme chose to keep the baby instead of terminating it even in its earliest stage. She was not religious, but she believes that keeping the baby is a humane act. It was also made apparent when Dennis, one of the regular bums frequenting the Owl, died and might turn up unmarked on a public cemetery. Esme and her friends were disheartened by this. Esme expressed her womanhood in different vulnerabilities every woman can relate to –through her anxieties, idealism, naivety, tenderheartedness, and fickleness. While she desperately struggles with independence versus her desperate need for Mitchell to love her completely in return. These characteristics were accentuated when she constantly failed to see through Mitchell’s blatant arrogance and manipulation. My first look at the title and premise of the story hooked me instantly to read this book. Books about books and bookstores always perk my interest. 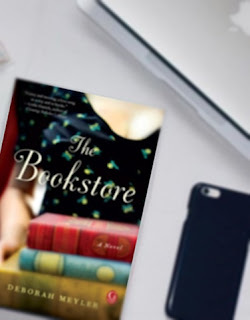 The Bookstore’s downside, the characters circling the bookshop were active throughout the plot, but not given much development other than some quirkiness that are adherent to them. Few pages into the book, the reader could not miss that the book was scholarly written. Not because of the renowned authors and books mentioned within, but with how the prose were constructed. Some readers will assume that it’s pretentious, but I, on the contrary, like it. The kink on the otherwise straight clean prose happens when it tries to be juvenile. Some sexual scenes/dialogues were cited without finesse making the scene unnatural, leaving a bad taste on the whole. And because it is scholarly, it suffers from the usual dilemma, digression. Certain topics were touched that neither support the plot, nor move its pace. In spite of my tepid feelings, The Bookstore is an inspiration on real life challenges, making the right decisions, and appreciating the diversity of people around us. *To Gallery Books and Netgalley, thank you for giving me a chance to read this in exchange for an honest review. This review is also available on Goodreads and Tumblr.